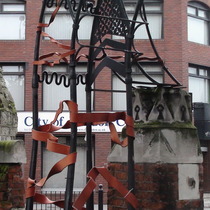 Wrought-iron arch created as a memorial to Altab Ali and other victims of racist attacks. 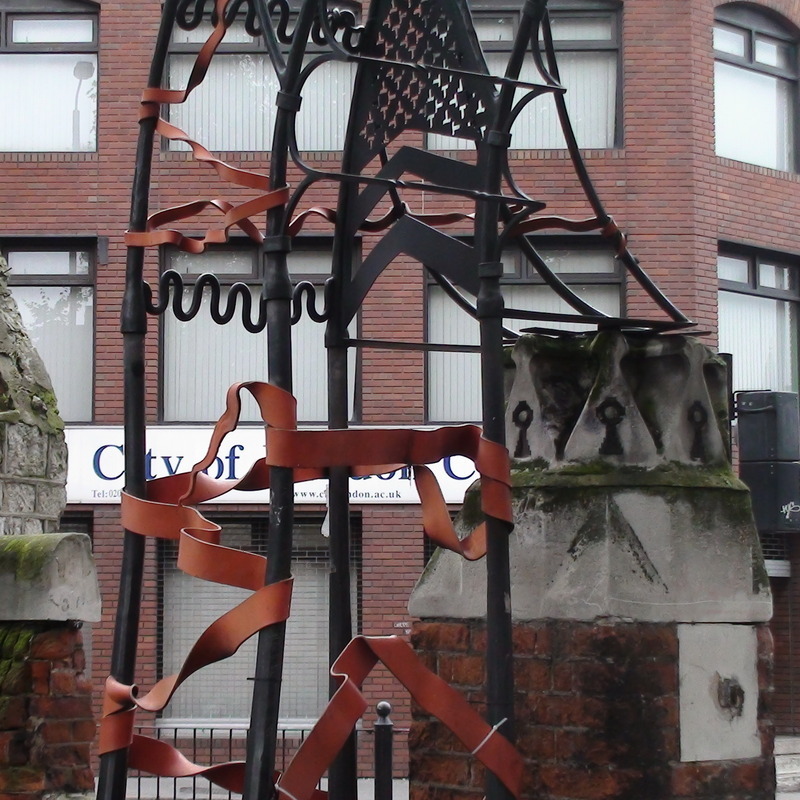 Symbolically combines elements of Bangladeshi and English perpendicular architecture. The Evening Standard has a thoughtful piece about this park. Active 1989. We have also seen his name as 'Petersen'. We can't find any information explaining these gates.